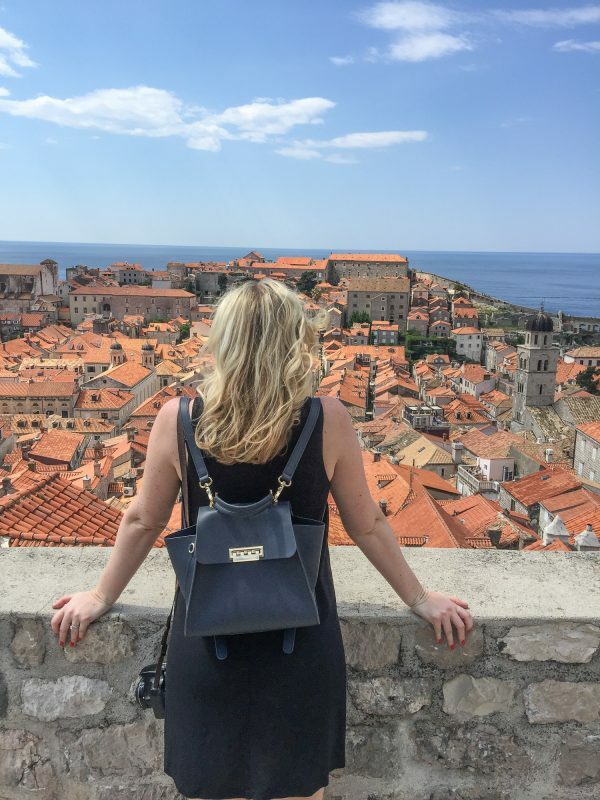 A guide of what to do in Dubrovnik, this stunning city is one of my favorite travel destinations. 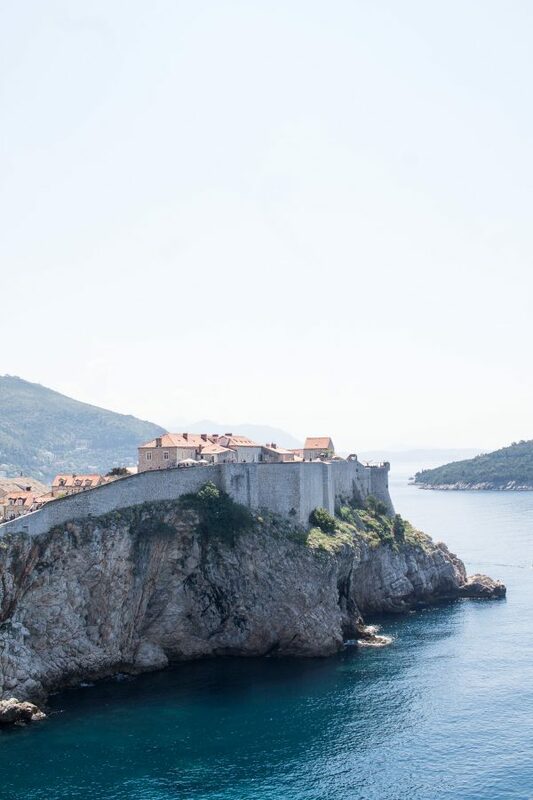 Dubrovnik is so beautiful that it almost does not feel real. 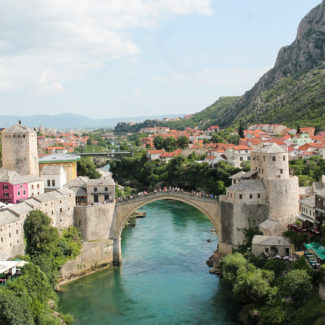 The city is one of Croatia’s most popular tourist destinations, and it has become more popular after becoming a filming location for Game of Thrones. 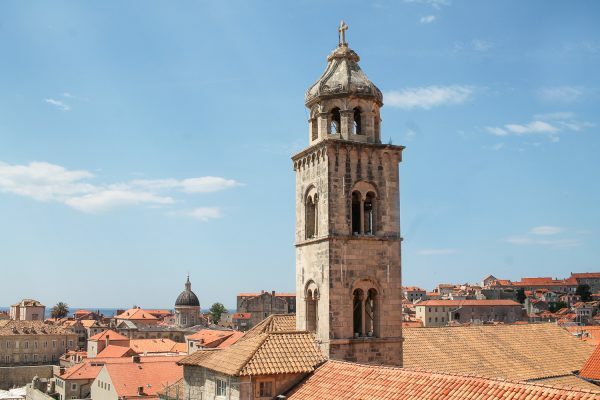 One reason why Dubrovnik is an especially appealing travel destination is that it is more affordable than other European cities. 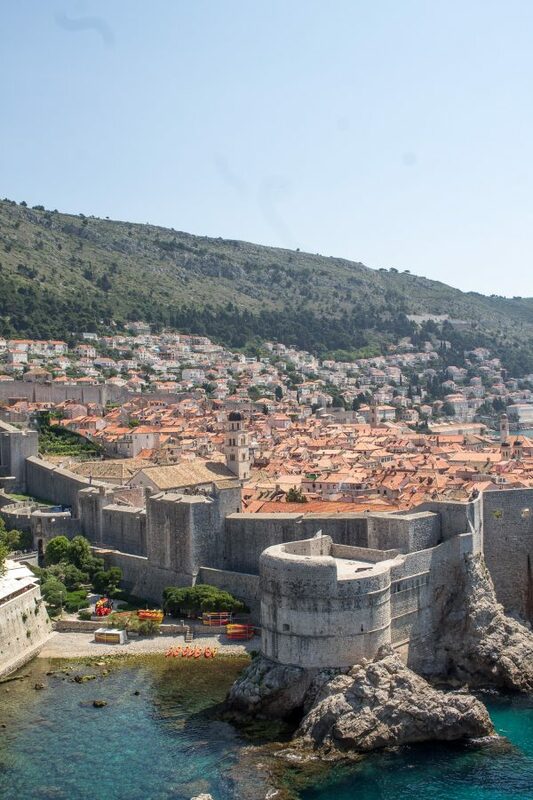 Dubrovnik our favorite stop on our trip to Dubrovnik and Montenegro. We stayed at the Hilton Imperial, and loved the location. 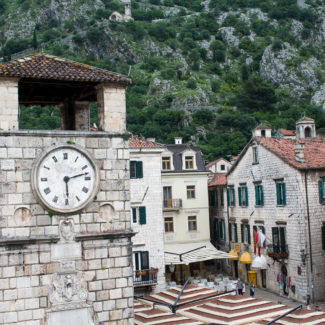 It is just beside the entrance to the Old Town, the walled historic part of the city. Our room was larger than most hotel rooms, and it had a big desk where I could catch up on work. The breakfast was included in the room rate and it was massive. It was something we looked forward to. It had mimosas along with a huge selection of American and European breakfast foods. I always like to find a hotel room with breakfast included, it just makes our mornings much easier. The concierge at the Hilton was incredibly helpful. 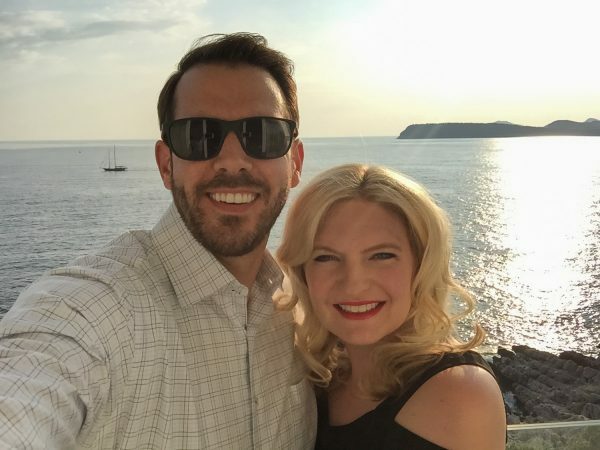 He was able to look up the schedule for the cruise ships so that we could pick a time to walk around the walls of the Old Town when it wouldn’t be too busy. 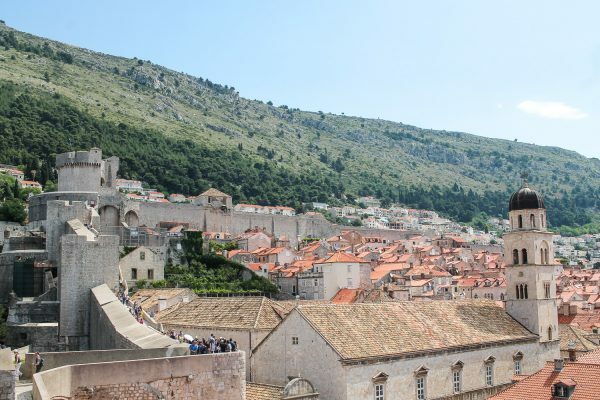 Sometimes 6 or more cruise ships dock in Dubrovnik overflowing the old town with tourists. We were lucky. Since we were there at the end of May, it was just before the height of tourist season, and there was only one boat in town while we were there. I hear it gets pretty crowded in the summer months. Entrance to walk around the walls was about $10, and the tickets are good until the end of the year – so hang onto them. I recommend making sure that you are wearing comfortable shoes, and trying to avoid the mid-day heat. It gets hot up there! We went at around 10am and it took us about 90 minutes to walk around the walls at a very leisurely pace. 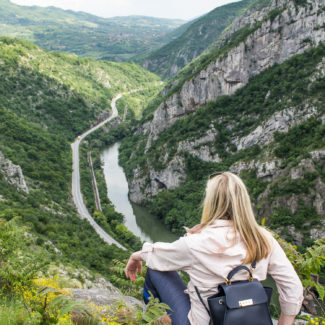 One morning we walked all the way around wall, and the next day we walked up Fort Lovrijenac which is across a small bay from the wall. 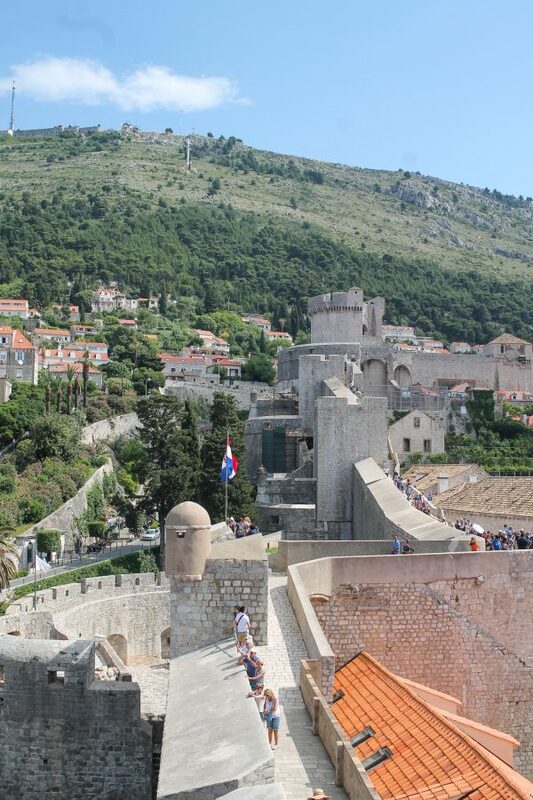 This is included in the wall ticket – my advice is to just keep those tickets with you at all times when you are in Dubrovnik. 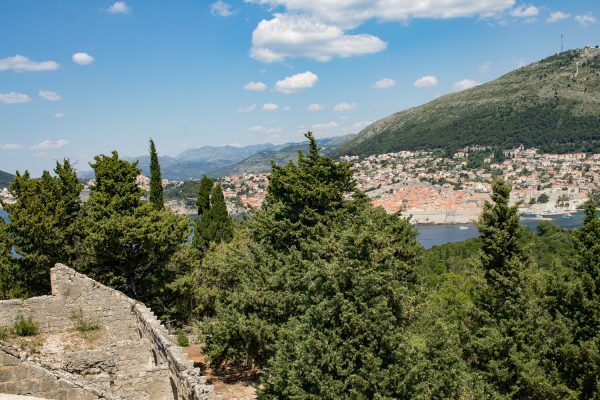 The views of Dubrovnik’s Old Town from Fort Lovrijenac are reason enough to go. We wanted to do something active, so we went for a sunset sea kayaking tour. We spent about 2 hours paddling to a cave and then around Lokrum Island. For the most part, the seas were calm there was just a moment when I thought we might tip over. We were given life jackets so Charles didn’t fear that I would drown (I swim terribly and at one point on our honeymoon he thought I might drown). We were also given dry bags for our cameras, phones, and towels. 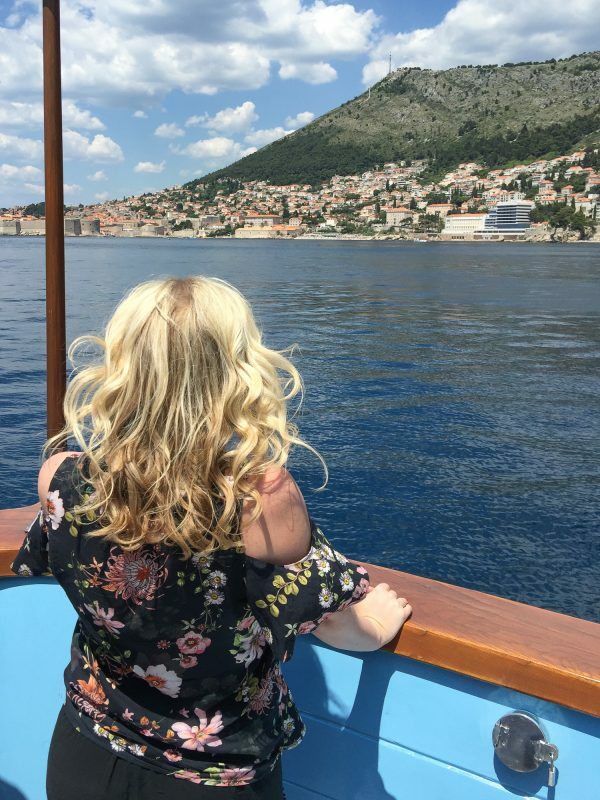 The guide gave us a brief overview of the history of Dubrovnik and some of the landmarks we passed, but we paddled beside him and discussed food, the war, and everyday life in Croatia. We talked about food at length, especially our love of Bosnian food (I had just arrived from Bosnia). After listening to us go on and on about Bosnian cheese and sausage, Charles wanted to try it! 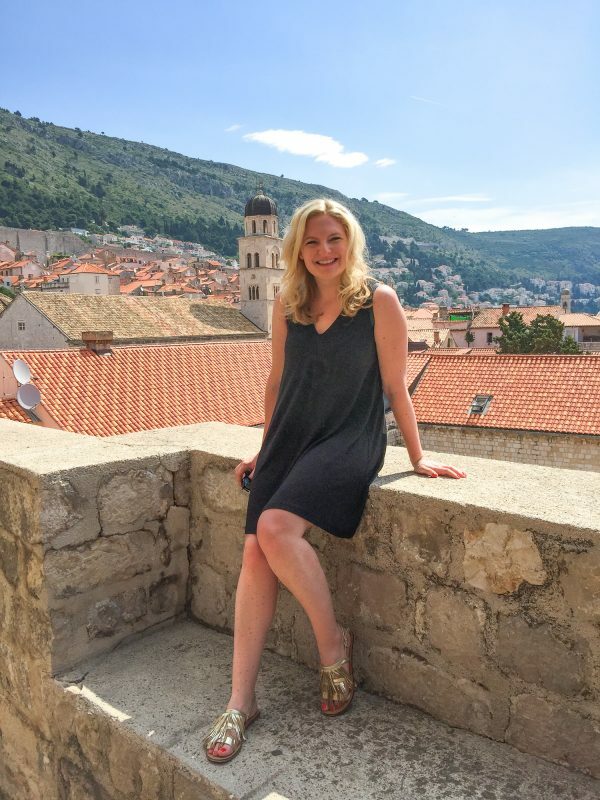 The guide recommended a restaurant called Taj Mahal and Charles and I loved it – it was our favorite meal in Dubrovnik. Taj Mahal’s name is a bit confusing since they serve Bosnian food. Apparently, both the restaurant and the Taj Mahal were built by men who wanted to show their wives how much they loved them. 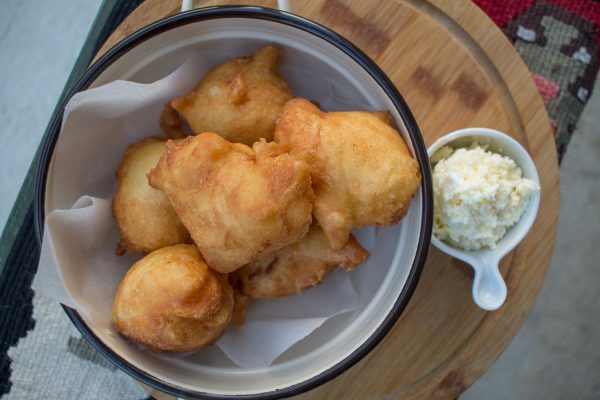 We ordered the most amazing savory fritters that came with fresh creamy kajmak cheese, plus a spinach pie, and of course some sausages and beef fingers with pita bread. We stuffed ourselves silly. The meal was only about 60 Euros, including drinks. We highly recommend it. The price was less than other restaurants we tried, and the food was better. We loved Taj Mahal so much that we went to their second location another night. Charles and I kept on jokingly saying, “Come to Croatia, the Bosnian food is great!”. 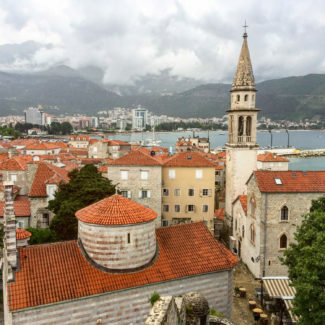 It might seem silly that we kept eating Bosnian food in Croatia, but it was absolutely delicious and even the Croats think it is some of the best food to try in Dubrovnik. The second time we dined at Taj Mahal we tried some of their house specialties. 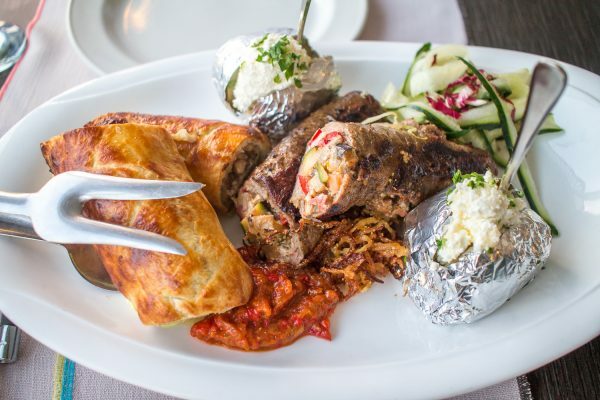 The sausages and beef fingers are the most typical Bosnian food, but we preferred Taj Mahal’s house specialties – pastry stuffed with beef, vegetables, and cheese, and a dish called the Happy Bosnian which was beef stuffed with vegetables. Our kayaking guide had told us about Lokrum Island, a cursed island that sits in the harbor just beyond Dubrovik’s Old Town. Ferries run to and from the city and it is only about a 10-minute ride. 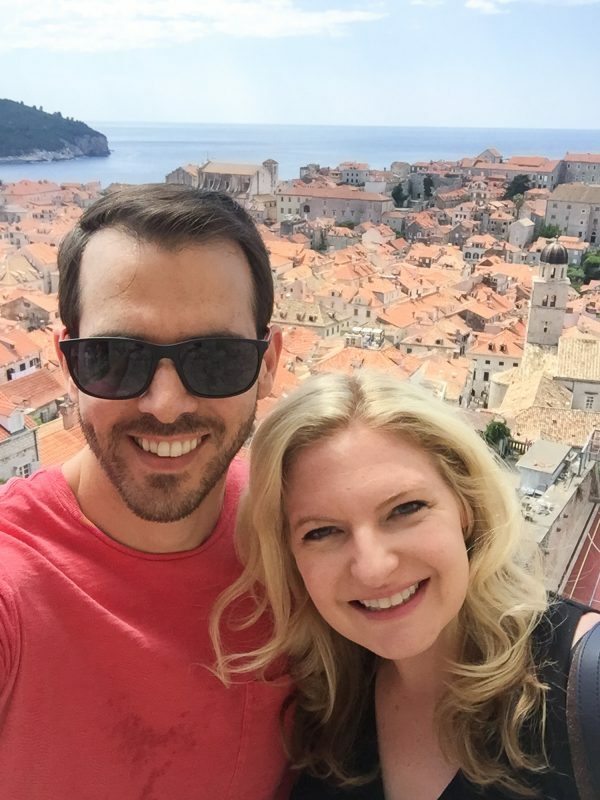 We spent one morning exploring Lokrum. Historically the island was home to a monastery, but eventually, it was sold and the monks were told to relocate. 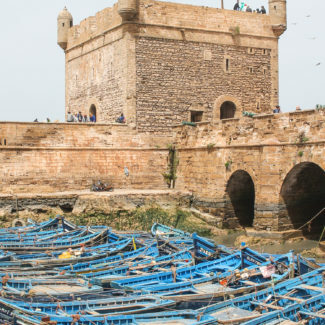 The monks were not too happy about that so they cursed the island – apparently, the process involved chanting while walking around the island carrying lit candles upside down. Bad fortune came to all of the people who owned the island after. 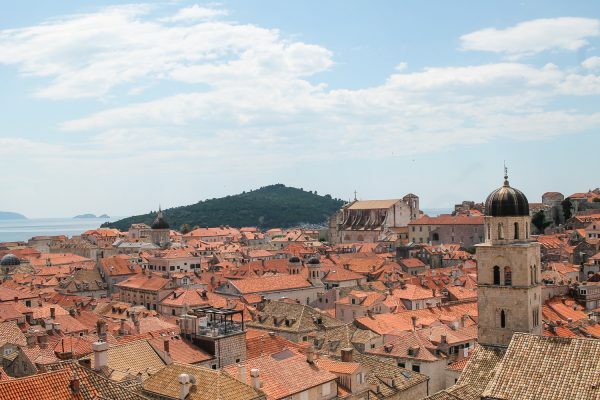 Today the Lokrum Island is a nature preserve, and home to a pretty fun Game of Thrones exhibition. 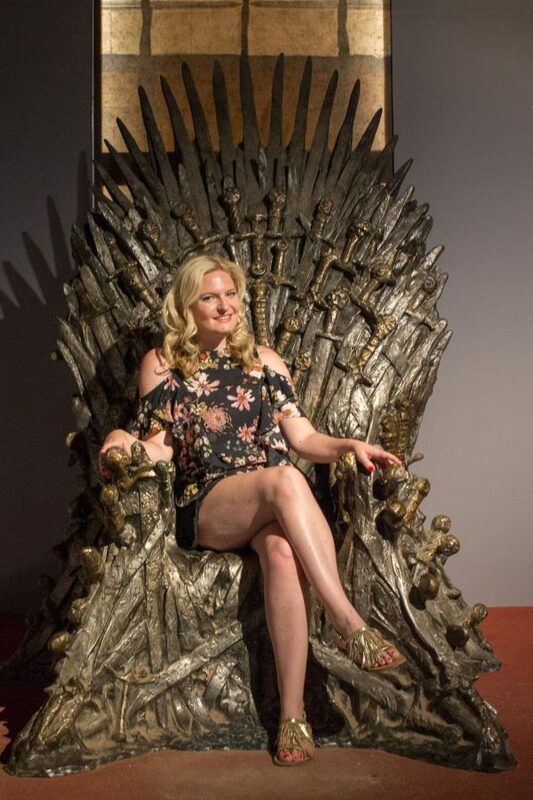 Charles was very excited to sit on the throne and have his photo taken. I did it too, even though I have never seen the show. On our last night in Dubrovnik we went over to Hotel More for drinks. They have a great bar – part of it is inside a cave, and part is beside the water. It was really unique. 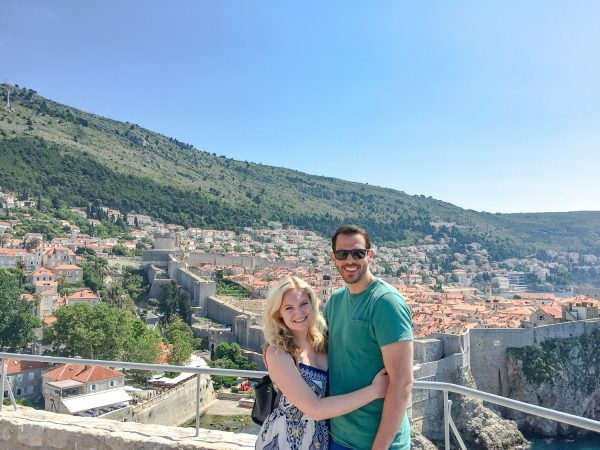 We loved that in Dubrovnik we were able to split our time because doing active things like hiking and kayaking, and exploring historical sites. 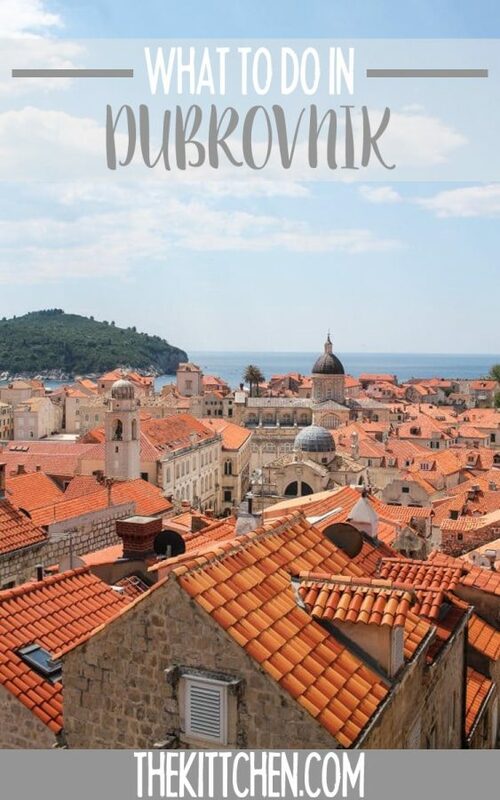 Dubrovnik is small enough to see in 2-3 days, but it is so gorgeous that you will want to stay longer.